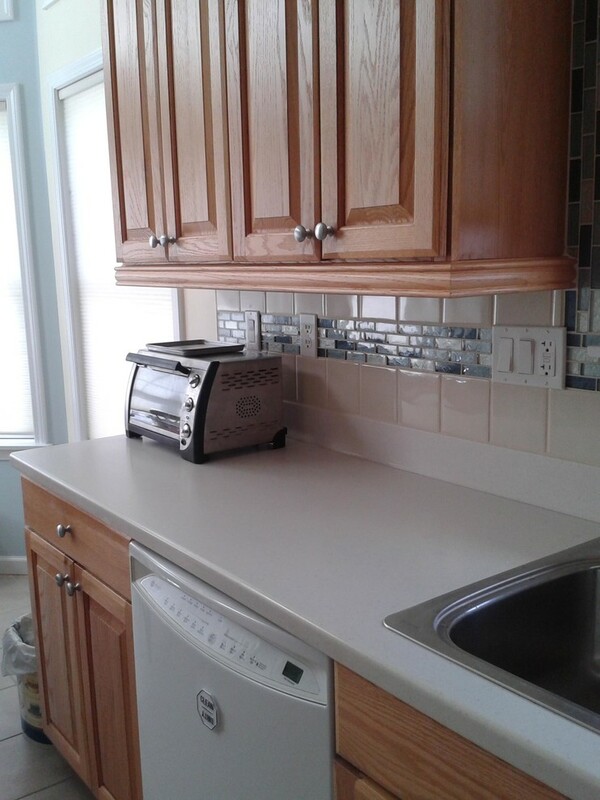 In this backsplash design we had to work with the existing Corian countertop. 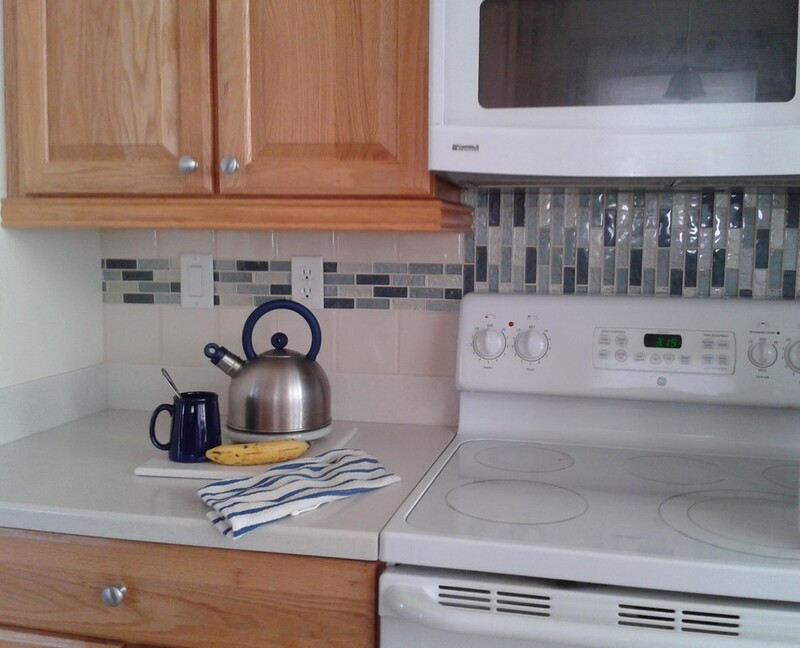 The client wanted a clean uncluttered look and wanted to incorporate the cobalt blue color from some favorite dish ware. 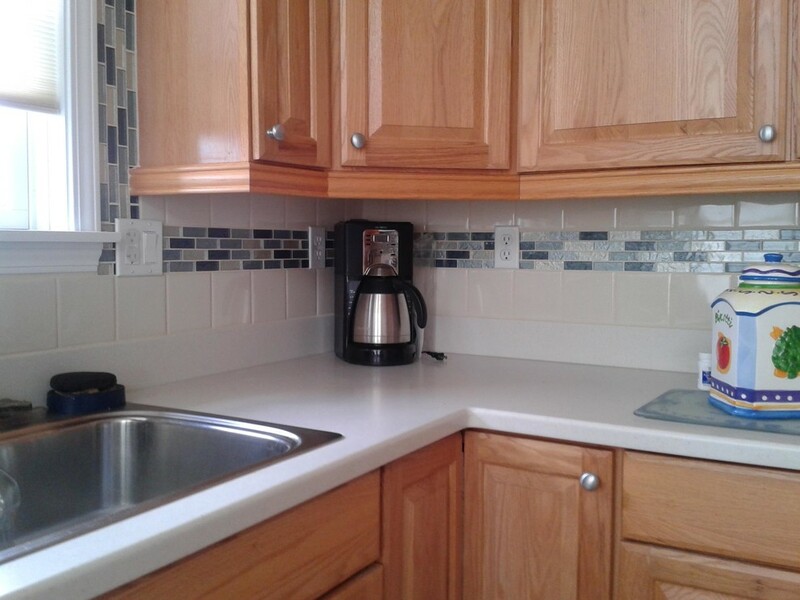 We selected a 5" square porcelain tile in a cream color crackle finish for the field tile. 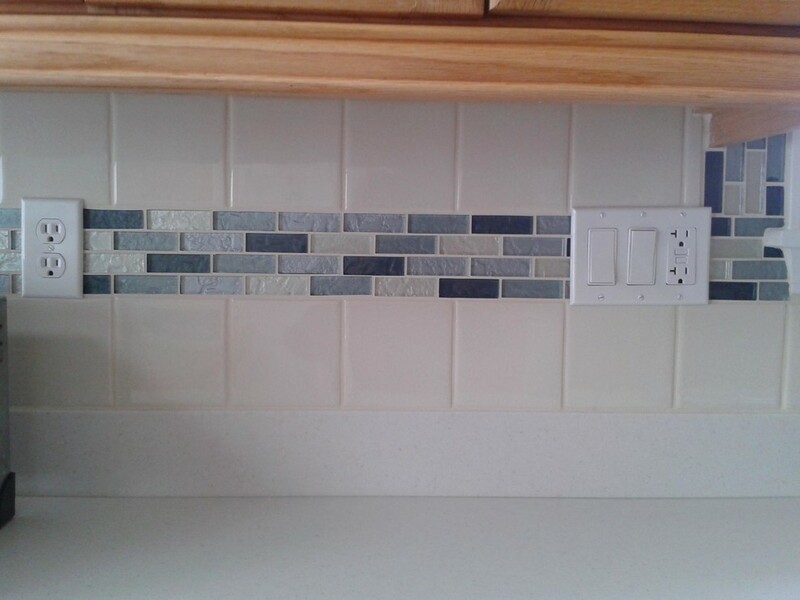 We enhanced the cream color and added a glass mosaic in shades of blue and cream for a pop of color and turned it vertical for behind the range for added interest. 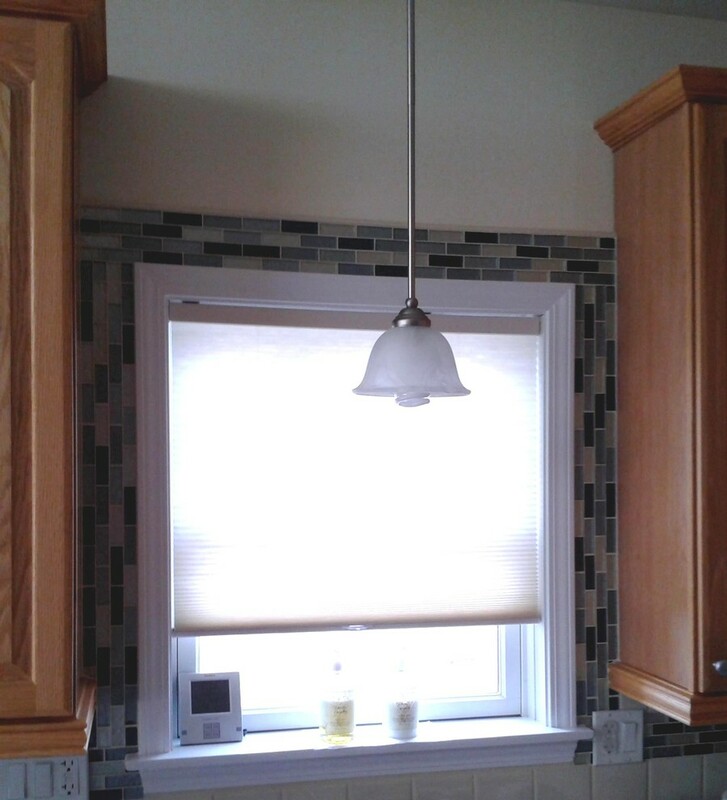 We ran the glass mosaic tile border from one side of this L shaped kitchen layout up to the sink window and then continued it up and around the window opening to enhance the window and give more interest and drama.